Who doesn’t love a coloured pencil? These little beauties are nestling in a CD case and even have their own tiny pencil sharpener. 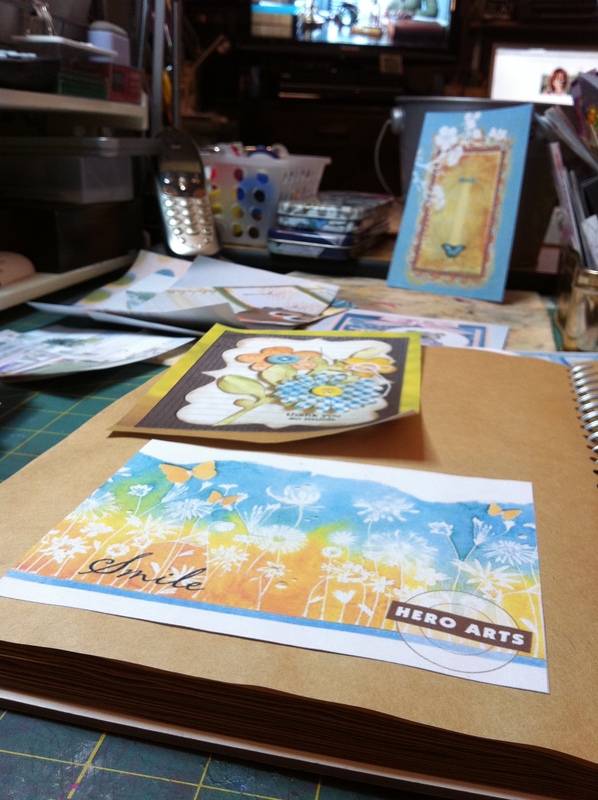 I love Art Journaling and these are ideal as they are easy to pack in your travelling art kit. 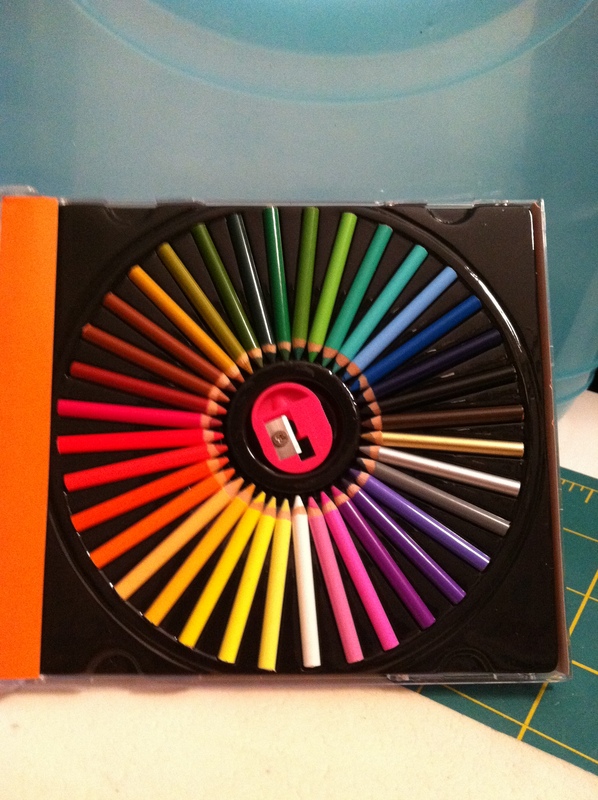 There are 36 pencils in the case and I bought them in Paperchase for £4.00, what a bargain! Continuing my current theme of clearing the decks and preparing for all things new, I spent some of today sticking all those lovely images I’ve printed off into my scrapbooks. For personal use only I might add, but oh so useful for inspiring myself and my students. I’m loving this kraft and white paper blank book from Paperchase.